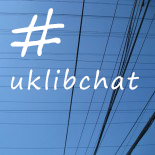 We are very excited to introduce to you something new that we’re doing at #uklibchat: featured articles related to the chat sessions on our websites. Gary Green kindly agreed to write on December’s topic, and he highlights great examples of innovative use of technology in libraries. Technology plays a significant role in the delivery of modern library services – most commonly the software and hardware used in library management systems and catalogues, internet enabled computers, and electronic and digitized library resources. This use of technology is commonplace, but some libraries are also using it innovatively, providing services and information in new and unusual ways. In this blog post I’m going to share a handful of examples I’ve found in the library sector and also highlight that a large budget isn’t always needed to develop original ideas using technology. Library Live And On Tour (Fraser Valley Regional Library Service, Canada): This is an interesting take on the mobile library service concept, with the aim of reaching people “who don’t know about our libraries or might have some obstacle to visiting them.” As well as taking books out to library users, the book mobile was kitted out with internet enabled laptops, e-readers, tablet devices, daisy audio players, an enhanced sound system and a large LCD screen, and visited places such as residential homes, soup kitchens, food banks and festivals. The focus of the service was less about the library materials and stock and more about adult literacy, access to information and community development, thus changing the emphasis of what a mobile service could provide. Our Town Stories (Edinburgh Libraries): This site is focused on Edinburgh’s archives and the plotting of historical photos and stories on a virtual map. It features resources held by the library service, but library users can also contribute to the map. You can navigate the map via a sliding timeline bar, or click on pointers on the map that open up the images and stories. Once you’ve opened up an old photograph, click on the sliding bar above it and watch the image fade from view into an overlaid shot taken from the same perspective but from the modern day. LibraryGame (Running In The Halls): This combines social media, gaming and library services. The social game is developed around the idea of gaining achievements whilst using library services and resources. It can link into library management systems and make use of library members’ data. Users can engage in competitive activity with each other and their achievements can be shared on regular social media channels. It aims to reward regular library users and encourage other users to become regular users of the library in a fun way. Penguin Self-issue (Christchurch Libraries, New Zealand): This is a creative take on the use of RFID for issuing library stock in a children’s library. It works in the same way as a standard RFID book issuing/circulation unit, but is designed to look like a penguin on a block of ice – you place the items you want to borrow on the penguin’s open book and they’re issued to you. It’s purely designed as a fun way of engaging children in the library. SCARLET project (University of Manchester): This is an augmented reality application designed to enhance student researchers understanding of historical documents housed at the University of Manchester. Using a tablet or smart phone device with the SCARLET app on the user points the camera on their device at the historical document and enhanced information about the item is displayed on the screen of their device – that may be a video commentary from an academic about the document, an overlay of the complete document, or other multimedia presentations. Only a limited amount of enhanced information is given, as the main purpose of the app is to generate an interest in the item, so that the student is encouraged to undertake further research. Foto Fortunes (Library of Birmingham): This is a clever and creative method of crowd sourcing classification for photographs held in Birmingham’s archives. Disguised as a Facebook app in an interactive game format the player is presented with a series of old photos which they are asked to describe with keywords. The player is given a number of chances to find the most popular keywords that other players have used to describe the same photo and, as you enter your answers, it adds them to the list of keywords used for that image. So, as you’re playing, you’re also tagging the digitized image. The game is accompanied by a cartoon game show host, who comments on your answers. At the end of the game, you’re shown your score and high scores for the game. Twitter Library Catalogue Search (University of Utrecht): The library service at the university have created a Twitter bot that runs a search on the library catalogue whenever anyone sends their Twitter account a tweet with a hash tag of #search and some appropriate keywords. Once the search is run the library Twitter account replies to the sender with an @ mention and a link to the catalogue search results. Although most of the above examples required a significant amount of investment in time or money, the Library Twitter bot is a good example of how innovation can be achieved on a limited budget. It used 3 free services (Yahoo Pipes, Twitter, ifttt.com) and, with an intermediary knowledge of programming and how the library’s search urls were constructed, innovation was achieved. In some ways it’s easier to put something together if you only need to focus on the software side of development. Once you have to build a physical object e.g. The Library Live And On Tour book mobile or penguin RFID issuing system, you have the expense of creating that physical object. With regard to software, there are so many free applications out there that can give you the capability to create new things, whether that’s tools like Yahoo pipes and ifttt.com that allow you to manipulate data, or more creative tools like Junaio, which was used to develop the SCARLET project. Admittedly, you may still need to have some technical knowledge to get an idea up and running using these tools, but there are online sites that let you get creative without this level of knowledge. For example, the library service I work for has used Tiki-Toki (Queen’s Jubilee project), Woices (literary trail of Guildford), Google Maps (Book Map) as a means to highlight our library resources in new ways. All of these sites allow users to create free accounts and add their own multimedia content and present it in a unique way – Tiki-Toki appears as a historical timeline; Woices is a series of audio podcasts; Google Maps displays book covers as pointers on a map and links back to our catalogue. I understand that free services can have their limitations, but they can also be a cost effective and easy way of trying out new ideas. Following on from this, if you’ve got an idea that you want to turn into something tangible, the difficult part may be trying to find the relevant software or web service to help you achieve your goal. If this is the case, I’d recommend taking a look at a couple of sites. The first is Phil Bradley’s “I Want To” blog, which lists hundreds of useful web based services that let you create all manner of clever things. The second, Similar Sites Search, is useful if you find a website that does almost what you want it to do, but not quite. Type in the name of a website and it will give you a list of sites that are comparable and maybe one of those has all the functions that you need. So, as I have illustrated, there is some fantastic innovation happening around technology in libraries, and if your library service wants to develop something new and exciting it needn’t be expensive to do it. Do let us know if you like the idea of featured articles, and we always welcome feedback and comment on how we can improve! This entry was posted on November 30, 2012 by Ka-Ming in Feature and tagged #uklibchat, crowd sourcing, digital, gamification, innovation, libraries, penguin, penguins, RFID, self-service, social-media, tech.